I wanted to share an inspirational and transformative story with you. Last week Ari Santander received her 50lb weight loss star from Weight Watchers. 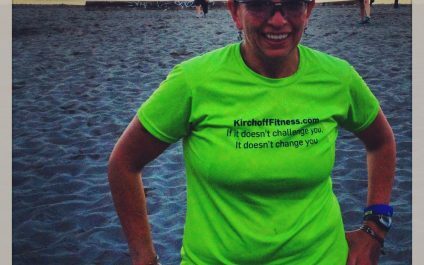 Ari has lost 65 pounds since committing herself to a healthy diet and joining Seattle’s Best Boot Camp 5 years ago. I wanted to post a special note to say thank you and good bye to a great friend and longtime boot camper, Rebecca Uusitalo (RU). Sadly RU will be moving over to the Eastside and out of boot camp range and we will miss her dearly. One of the great joys of my job is having the opportunity to work with truly amazing people…..I think anyone who has ever taken my boot camp class would agree that RU is one of those special people. Great job to my clients and boot campers this week. It is Week 2 of January 2013 camp.....It's all down hill from here. I kid..... I kid. We know that there will be some up and down hill (and maybe some suicide stairs and sixers in between). Well speaking of January. Here is some information regarding our next camp beginning on Monday, October 22, 2012. We meet 3x per week- Monday, Wednesday (Blaine Stairs), Friday. Here is some information regarding our next camp beginning on Monday, September 17, 2012. We meet 3x per week- Monday, Wednesday (Blaine Stairs), Friday.